In the recently published issue of the Jewish Quarterly Review, four contributions explore different aspects of Talmudic scholarship in its late antique Iranian context (Irano-Talmudica) . The study of the Babylonian Talmud, or Bavli, a crucial part of the Jewish canon since the Middle Ages, has gained fresh and advanced perspectives over the last two decades. In part, this new approach is the result of the scholars’ insights into the Talmud’s Iranian background as a text reflecting the inter-cultural dynamics between the Jews and their Zoroastrian neighbours under the Sasanian Empire. Brody, Robert. 2016. Irano-Talmudica: The New Parallelomania? Jewish Quarterly Review 106(2). 209–232. Among Talmudists, there has been an explosion of interest over the last fifteen or twenty years in exploring the significance of the Talmud’s Iranian background for the interpretation (on several levels) of the Bavli. This work, spearheaded by Yaakov Elman, represents an attempt to redress the imbalance between the contextual study of the Babylonian Talmud and of Palestinian rabbinic literature. Students of Palestinian rabbinic works have made extensive use for well over a century of literary and other sources of knowledge concerning the late ancient Greek-speaking world in order to illuminate numerous facets of the literature produced by Palestinian rabbis in this period; by comparison, little has been done on the Babylonian/Iranian front. There are of course objective reasons for this disparity—including the much more limited source material available for the study of Sasanian Iraq—but Elman and those he has inspired have been doing their best to overcome these obstacles. Secunda, Shai. 2016. “This, but Also That”: Historical, Methodological, and Theoretical Reflections on Irano-Talmudica. Jewish Quarterly Review 106(2). 233–241. Some fifteen years ago, Yaakov Elman and a handful of young talmudists embarked on a major effort to correct a scholarly lacuna, namely, the dearth of talmudic studies that take the Bavli’s Sasanian context seriously into account. The history of scholarship has been recounted time and again, but the primary point bears repeating. Unlike researchers of Palestinian rabbinic literature who have consistently aspired to read rabbinic texts alongside classical literature and the archaeological record of Roman Palestine, for decades most scholars of the Babylonian Talmud did not so much as glance at Sasanian literary or material remains. Working against the clock, as it were, scholars of Irano-Talmudica have already made important advances by laying the groundwork for a contextualized study of talmudic law in its Sasanian milieu, offering new readings of talmudic narrative and myth in light of Iranian parallels, and suggesting novel understandings of Babylonian rabbinic ritual against neighboring non-Jewish ritual systems. Kalmin, Richard. 2016. The Bavli, the Roman East, and Mesopotamian Christianity. Jewish Quarterly Review 106(2). 242–247. Scholarly study of the Persian nexus of the Bavli began approximately a century and a half ago, but this study has entered a new stage of methodological rigor and sophistication during the past two decades. In the tremendous enthusiasm for the study of Bavli in its Persian context, however, some scholars have forgotten the obvious point that it is essential to use all of the cultural contexts at our disposal. The ensuing discussion suggests a few areas where that study is already ongoing and has yielded important results and would greatly benefit from additional research. One very promising area of comparative study of the Bavli is the literature of the Mesopotamian neighbors of the Babylonian rabbis, the Syriac-speaking Christians. Gross, Simcha M. 2016. 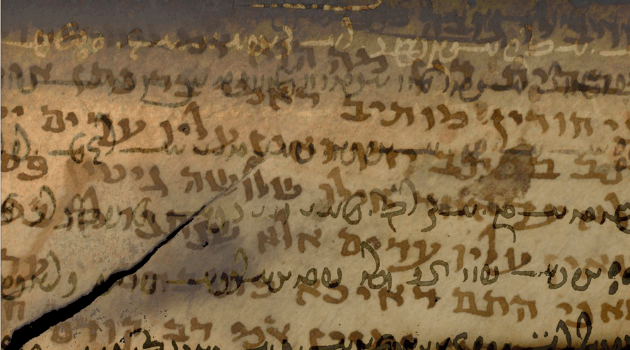 Irano-Talmudica and Beyond: Next Steps in the Contextualization of the Babylonian Talmud. Jewish Quarterly Review 106(2). 248–252. Traditional scholarly study of the Babylonian Talmud has largely ignored the work’s historical context. The underlying presumption of most scholarship was that the Bavli was the product of a reified rabbinic culture, with Palestinian rabbinic literature as its antecedent and geonic literature as its successor, and that the Babylonian rabbis were themselves an ideologically and culturally insular elite. In recent years, however, a school of scholarship, sometimes called “Irano-Talmudica,” sought to give historical context to the Bavli and its rabbis, challenging the presumed insularity of the Babylonian rabbis. This has proved to be a critical turn in the field. This drive to contextualize the Babylonian Talmud has begun to emerge from its infancy, raising a number of new questions: What are the most apt and fruitful sources and materials? Which methodology is most promising? What is the potential payoff for scholars investigating these sources? The answer to any one of these questions has an impact on the others.